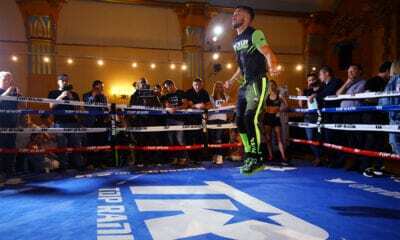 One of the most active current championship fighters in the sport is back in action on Saturday night in Mexico, as WBO Junior Middleweight champion Jaime Munguia will defend his 154 lbs. title against journeyman contender, Dennis Hogan. That battle fight is part of a triple-header of intriguing action in three different locations that we are previewing on this weekend’s “Big Fight Weekend” podcast. Host T.J. Rives is joined by special guests to break down all of the action. 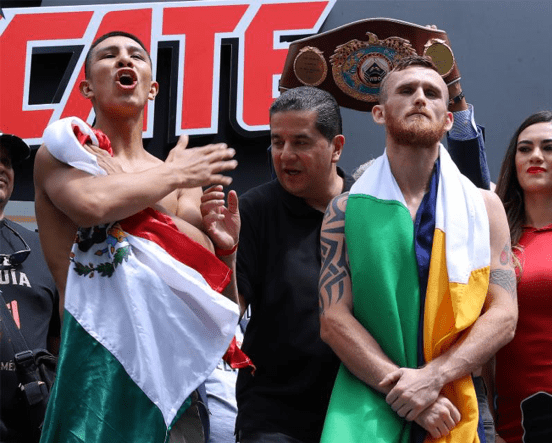 Munguia, who will fight in his home country, is the biggest name of the three fights, is 32 – 0 with 26 knockouts, and will be making his fourth defense of his WBO title since May of last year. That’s when Munguia captured the title, by knocking out American Saddam Ali in four rounds in Verona, New York. First up on the podcast is Marquis Johns of BigFightWeekend.com, who gives insight and analysis into the Munguia defense. And, he also had some thoughts on the women’s World Middleweight Championship unification fight Saturday night in Atlantic City between Claressa Shields and Christina Hammer. 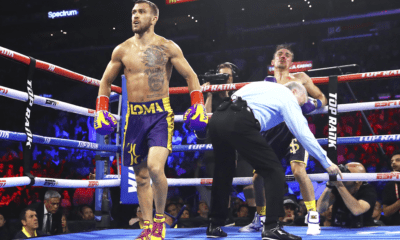 Up next, David Payne of boxingwriter.co.uk, is back on the podcast not only talking about whether the Vasily Lomachenko is “pound-for-pound,” the best fighter in the world, but also giving some insight on Munguia’s title defense. Plus, T.J. and David give some historical perspective on the upcoming anniversary of one of the greatest short fights ever between Marvelous Marvin Hagler and Thomas Hearns. The anniversary of their epic three-round fight from 1985 is on Monday. Finally, Antoine Williams promoter in Houston of “The GOAT Boxing Promotions” is on the show also discussing Saturday night’s action. Antoine was around Jaime Munguia during his January title defense against Takeshi Inoue of Japan in Houston, as Munguia won easily by 12 round decision. Further, Williams has Insight on the women’s world title fight that will be the main event on Showtime Saturday night. Antoine has previously attended two of Claressa Shields’ other world title defenses and gave some thoughts on this matchup with Hammer. The third Main Event bout in a third different location will be the Fox Sports 1, Super Middleweight non-title fight between Caleb Truax and Peter Quinlan, both of whom want a title shot later this year. 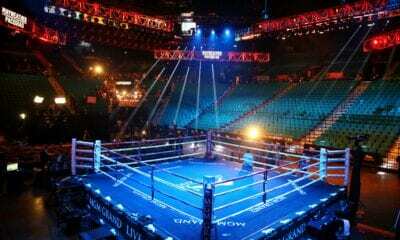 That one will take place in Minneapolis, Minnesota and the guys also addressed that bout on the show. A veteran broadcaster of over 25 years, T.J. has been a fight fan longer than that! He’s the host of the “Big Fight Weekend” podcast and will go “toe to toe” with anyone who thinks that Marvin Hagler beat Sugar Ray Leonard or that Tyson, Lennox Lewis or Deontay Wilder could have beaten Ali! 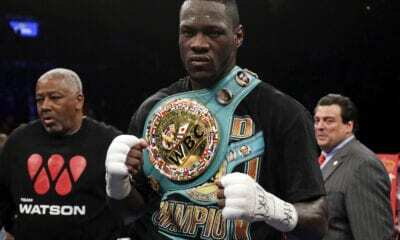 How will Heavyweight picture play out? 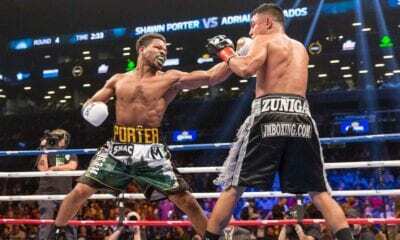 Spence- Garcia to be fight of year candidate already? 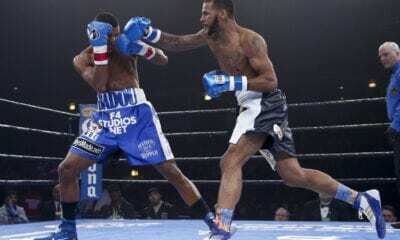 Night of fireworks coming for Dirrell, DeGale or Eubank Saturday? 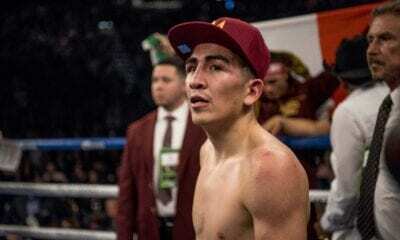 Will Leo Santa Cruz deliver big KO Saturday night?